On July 29, 1971, Srila Prabhupada spoke at the University of Florida in Gainesville on the meaning and goal of yoga. 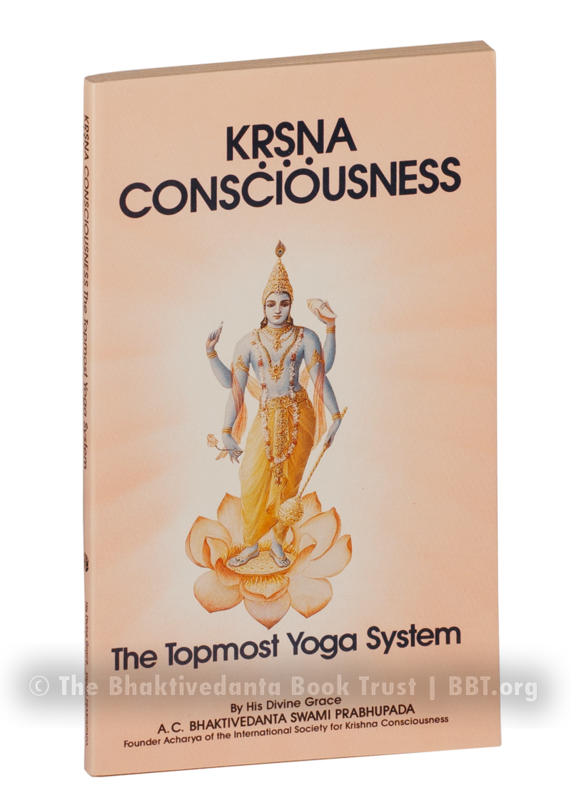 The lecture was transcribed, edited, and later published as Krishna Consciousness, the Topmost Yoga System. The Sanskrit word yoga, he told the students, originally meant much more than physical exercise; it referred to a lifestyle focused on achieving direct experience of God. Practitioners would live far away from mainstream society, restrain their senses, and perform austere meditation with the aim of transcending the physical body entirely. Such a lifestyle isn't so practical now; very few people these days are prepared to live a secluded, austere, or sense-controlled life. But anyone can still attain yoga's ultimate goal via the practical, effective method of Krishna consciousness, bhakti-yoga, the system of devotional service to the Supreme Person. In bhakti, the mind and senses are fully engaged in spiritual activity, rather than controlled by rigorous gymnastics. Every aspect of our lives—working, playing, walking, talking, thinking, feeling, willing—can be yoga, when done in the right consciousness. Sweat, spandex, and expensive mats are optional.